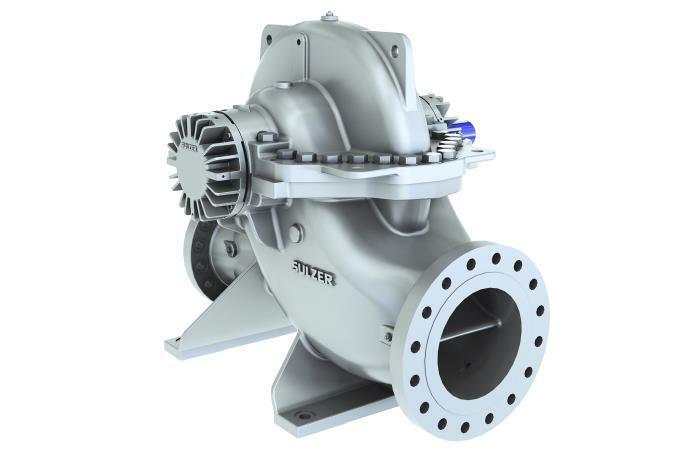 The SMD pump range is ideal for a wide range of high-volume flow applications where raw, clean, sea, or brackish water is pumped. Such applications are water abstraction, water transport, desalination, water treatment, supply, and distribution. The pumps can also be used for firefighting, drainage, or distribution of heating and cooling media in residential and industrial systems. The SMD pump range now offers both a standard version, as well as configured options to meet individual application demands. The innovative design of the new standard SMD pump contributes to a longer lifecycle, higher reliability, and increased cost efficiency. The compact hydraulic dimensions of the pumps are achieved with fewer and more interchangeable parts. This reduces the customers’ inventory levels. By providing the optimum hydraulic fit for each duty point, the SMD pumps reduce energy consumption and deliver improved hydraulic performance over a wide range of flows. They also offer exceptional suction performance with a low NPSH, which makes the planning of highly efficient pumping stations more flexible. Thanks to their state-of-the-art hydraulic design, the SMD pumps work at low vibration levels, and this prolongs the bearing life. In addition, the bearing span is minimized and the casing thickness optimized for lower weight and improved mechanical reliability. A new, innovative solution for a vertical installation of the SMD pump allows a small footprint and makes it the product of choice in areas with space constraints.